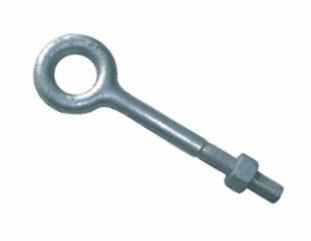 PRODUCT: #NPP788 FORGED-STEEL PLAIN EYE-BOLT WITH NUT. Price/ 10. C= 4", D = 1-3/4" I.D.